MSR’s Quick Skillet features hard-anodized aluminum construction, a 7-inch nonstick cooking surface, and a detachable Talon™ pot handle. 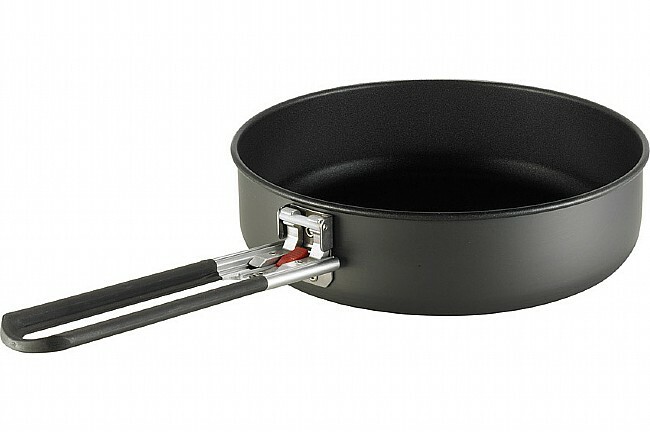 This camping skillet will diversify your camp meals without adding much bulk or weight to your pack. Weight: 5.9 oz (167.3 g/0.17 kg). Packed Size: 7.75 x 2.5 in (19.7 x 6.35 cm). Includes detachable Talon™ pot handle.